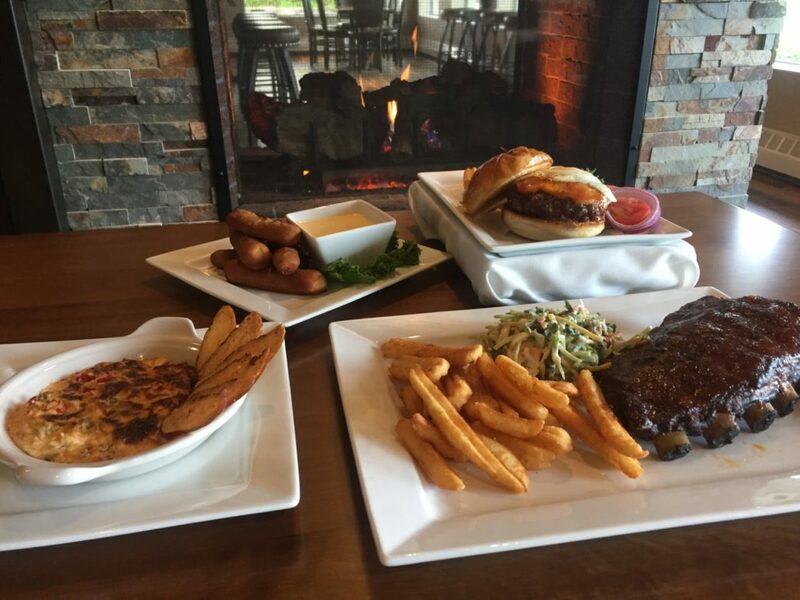 Bradley’s Pub & Grille at Interlochen Golf Course serves lunch and dinner year-round. The menu features a full range of smoked and BBQ foods, as well as local food selections. Enjoy the full bar, local beers and craft cocktails, while sitting just feet from the course. Entertainment and live music throughout the season. These days, you’ll find Casey smoking and grilling prime cuts of meat, fresh seafood and more at Bradley’s. Stop by to taste the history. When we started building Bradley’s we knew our Food & Beverage Manager had to be a superhero. We needed someone to handle hiring and scheduling, a person who could select all our beer and wine, just the right person to book the fabulous live entertainment and so much more. But what mere mortal could do all that – and do it with a smile? Val came to Traverse City with intentions of being a nurse – but found that her true love was northern Michigan and the food and beverages that make this region so special. With 25 years of restaurant experience, she’s probably served you dinner or a drink – and done it with a smile. When she’s not at work (which these days isn’t often!) you’ll find her with her Dad or teenage children enjoying hikes, books and laughter. When she is at Bradley’s, she’s infusing vodka, creating craft cocktails and serving as team leader, main cheerleader and mother hen. Below are the latest postings from the Bradley’s Pub & Grille Page On Facebook.